You hear your friends talking about it, your family members are raving about it, and even your dog wants to watch it with you every time a new episode airs, needless to say, Fox’s “Lethal Weapon” is one show that everyone is hooked on and it continues to be a trending topic. In fact, the show is such a massive hit that it was even nominated for a 2017 People’s Choice Award for “Favorite New TV Drama.” One amazing character that we all love seeing in the show is Riana Murtaugh, played by the immensely talented and spectacular Chandler Kinney. The wonderful Chandler Kinney has established herself as one remarkable, sensational, and marvelous actress who continues to make an everlasting mark in the entertainment industry. She takes on the role of Riana Murtaugh in “Lethal Weapon” so amazingly and she always makes each and every episode so interesting and compelling to watch. We all get to look forward to a lot more episodes from the highly-acclaimed show as it was recently announced to have been picked up for a full season. Prior to showcasing her exceptional talent in “Lethal Weapon,” Chandler was also a familiar face in the hit, Amazon show, “Gortimer Gibbon’s Life On Normal Street,” where she yet again left us all mesmerized with her incredible acting gift. In addition to being a magnificent actress, Chandler Kinney is also a very skillful dancer as well. Chandler has such a radiant and dazzling persona and she is definitely an excellent role model to all of her fans as she is one talented, classy, and fabulous, young lady. 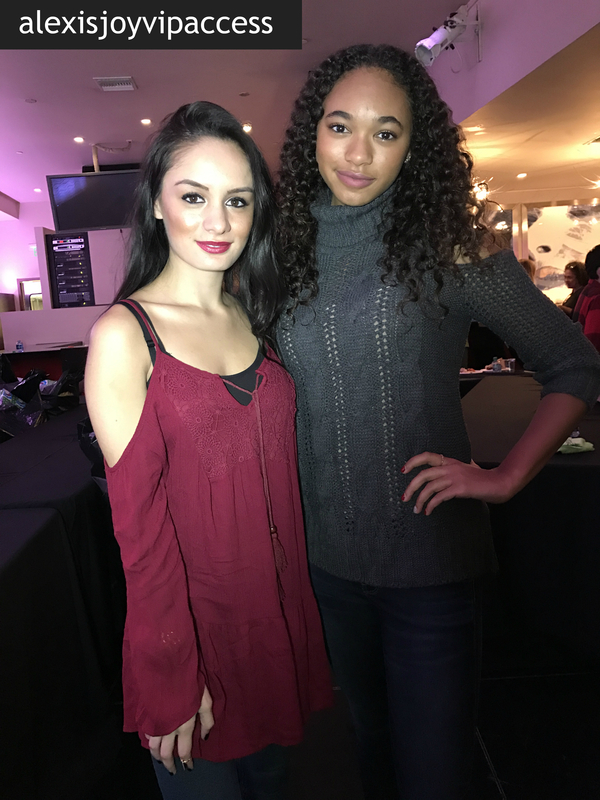 I, Alexisjoyvipaccess had a great time at PMG’s gift-wrapping event with Hasbro and GenerationOn and had a blast catching up with and interviewing the beautiful Chandler Kinney again at the event. Chandler Kinney dished exclusively to Alexisjoyvipaccess all about what she would like to see happen in future episodes of “Lethal Weapon,” what is her favorite episode thus far from the show, and so much more only in our VIPAccessEXCLUSIVE updated interview. Chandler Kinney even spilled on what she would like Santa to give her for the holidays and what is the best holiday gift she has ever given – hear what she had to say in our VIPAccessEXCLUSIVE updated interview below. Thanks for another fun interview, Chandler – always an awesome time chatting with you! Check out my VIPAccessEXCLUSIVE updated interview with the vivacious and effervescent Chandler Kinney at PMG’s gift-wrapping event with Hasbro and GenerationOn below! Previous VIPAccessEXCLUSIVE: Alexis Wilkins Interview With Alexisjoyvipaccess At PMG’s Gift-wrapping Event With Hasbro And GenerationOn! Next VIPAccessEXCLUSIVE: Kaylyn Slevin Interview With Alexisjoyvipaccess At PMG’s Gift-wrapping Event With Hasbro And GenerationOn!